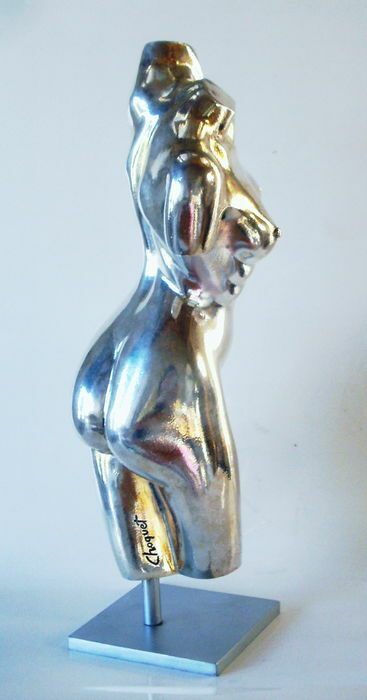 Contemporary sculpture of a woman's body. Made of resin and marble powder. 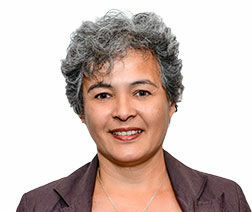 From a series of 30. Certificate of authenticity and estimate included. Total height: 37 cm with stand, width: 11 cm (hips), weight: Approximately 3 kg. Please provide your phone number for shipping (tracked colissimo). 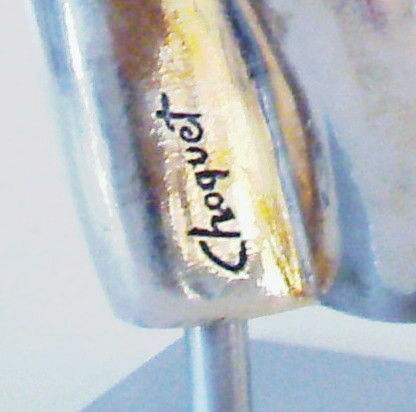 Please check the condition of the sculpture at delivery. Free shipment if you live in France, radius of 100 km from Albi (Tarn). 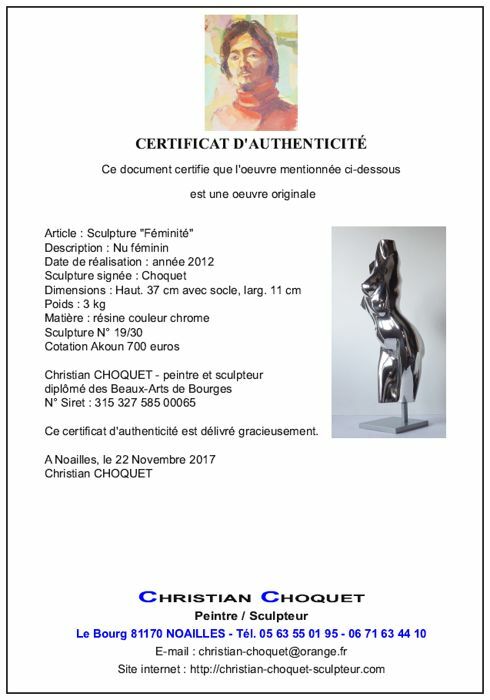 Livraison rapide et très belle statue livrée avec le certificat signé par l'artiste. 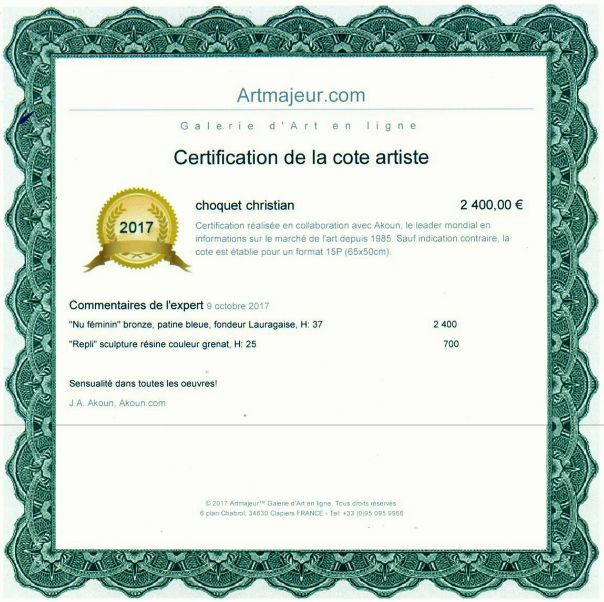 Le vendeur est l'artiste, fort sympathique et de confiance. U kunt dit kavel ook ophalen bij de verkoper: NOAILLES (Midi-Pyrénées), Frankrijk.